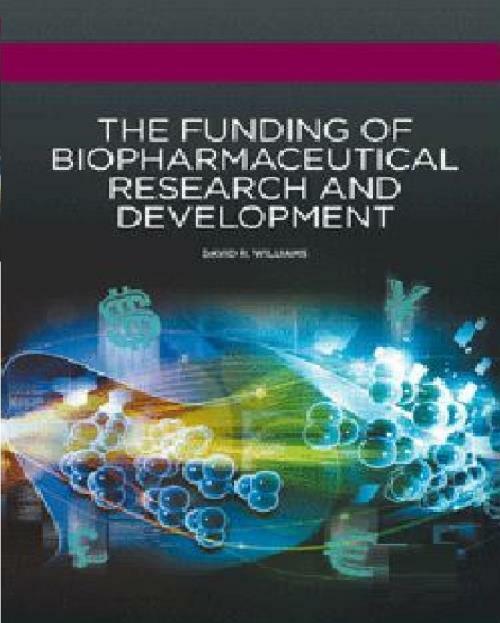 The funding of biopharmaceutical research and development provides a comprehensive critical review of the funding of research and development (R&D) in the human biopharmaceutical market sector. It addresses both private and public funding sources available in the US and internationally. The biopharmaceutical market is among the most research-intensive market sectors globally. Clinical researchers face a multitude of public and private funding options with respect to bringing their idea or innovation to market. These funding options are continually changing and complex, and are expected to decrease in the near future. A lack of understanding of the scale, scope, and inner workings of the funding aspects of R&D can, at times, act as a barrier for all involved, and can slow down or even eliminate the R&D process. The book lessens these barriers by describing the theoretical underpinnings, present practice, and trends in R&D funding in this market sector, both in the US and internationally. This includes a review and discussion of public-private partnership activity and their inner-workings, noting the complementary relationship between public and private funding. The book also contains an overview of the inner-workings of strategic alliance activity, including the advantages and disadvantages for each party. It goes on to provide an outline of venture capital activity, detailing the methods by which venture capital firms raise capital and are organized, a description of the venture capital-entrepreneur arrangement, and the effects of this arrangement. The book also presents an overview of the IPO process and the various fates of firms going public. 4.1 Introduction to research funding in the U.S.
7.4 IPOs around the U.S.
Williams, David RDr David R. Williams is Associate Professor of Health Care Management in the College of Health Sciences at Appalachian State University. He received his PhD in Administration Health Services from the University of Alabama at Birmingham. A former senior executive for both non-profit and for-profit healthcare entities, he is a Fellow in the American College of Healthcare Executives. He has presented and published widely on management, governance, and financing issues facing healthcare entrepreneurial firms, with a focus on biopharmaceutical IPOs.